Zest (previously Staffcare) provides technology solutions that empower employers to deliver smarter and more engaging benefit programmes for their employees. Over 350 organisations use Staffcare technology for reward communication, benefits enrolment and administration, together with our HR Self Service tools. These organisations from the Public and Private sectors, range in size from 50 to several thousand employees. Zest’s software has been independently voted best in class by the industry's leading professionals. Staffcare were looking to launch their new, game-changing employee benefits technology into an industry crying out for someone to make benefits technology-effortless, efficient and effective for everyone using it. Chaos worked with Staffcare over a series of brand workshops to create a new disruptive brand called Zest. Developing a vivacious new brand DNA, which included Value Proposition, Purpose, Positioning, Principles, Personality and Tone of Voice. As a result of the new brand success, Staffcare have now relaunched completely as Zest. 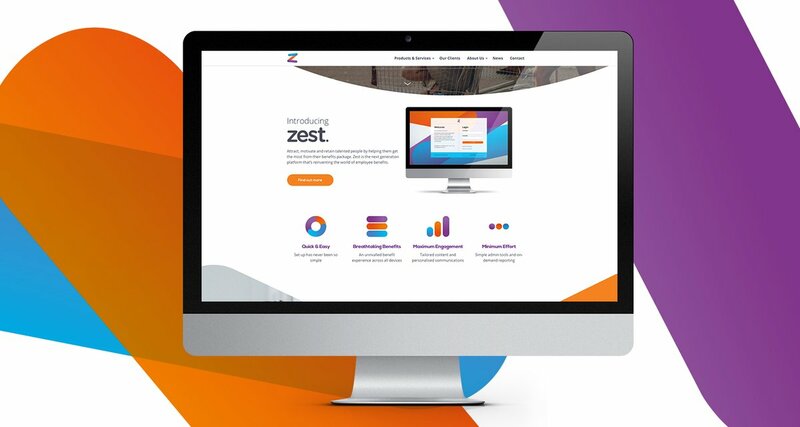 Staffcare were looking to launch their new, game-changing employee benefits technology – ‘Zest’. 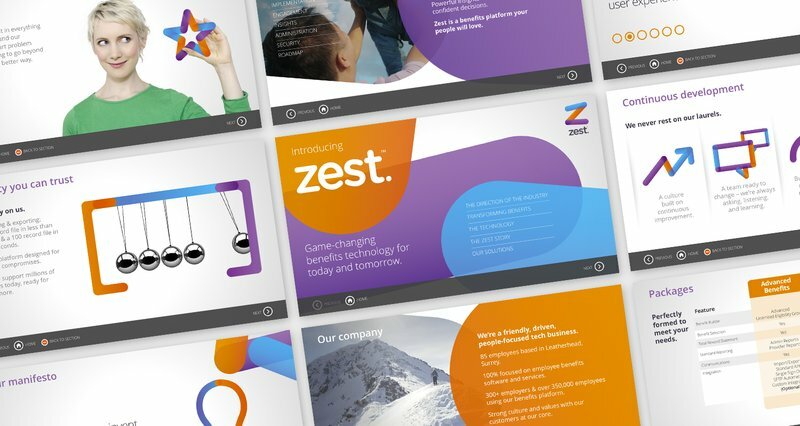 Chaos looked at the brandscape in the employee benefits industry and saw a clear opportunity to be disruptive and create a refreshing visual identity for Zest. The new Zest brand represents it’s personality - Bold, Passionate, Creative, Intelligent, Friendly and Fun. This was conveyed through new logo where the elements can be easily deconstructed and used in other brand visuals and assets.